This page is about the Russian fighter Yak-9T. 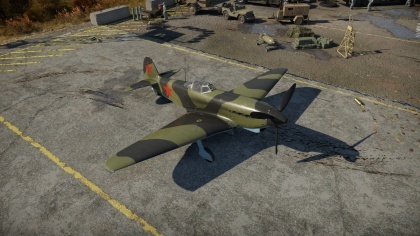 For other uses, see Yak-9 (Family). The Yak-9T is a rank III Russian fighter with a battle rating of 3.7 (AB) and 4.0 (RB/SB). It has been in the game since the start of the Open Beta Test prior to Update 1.27. 8 mm Steel plate in the pilot's seat. The Yakovlev 9-T or Yak-9 as it is most popularly referred to in game, being the most popular of the Yak 9 variants, is best played differently depending on the situation the pilot finds themselves in. To begin, make sure that you take off and immediately climb. A twenty degree angle may be too much to handle depending on the amount of upgrades purchased on the aircraft, so a fifteen degree climb is recommended. With it, the pilot keeps much needed speed and agility. altitude advantage over your opponent is always preferred, and most pilots of the tier that the Yak 9T fights, do not choose to climb over 2,000 m (6,561 ft) A good altitude to climb to is 3,000 m (9,842 ft) In this way altitude advantage is achieved. Be advised this will not always be the case and some enemies will climb above you, if this happens, try to make them bleed energy until they are slower than you and turn fight them. At high altitude, the Yak 9T is best suited to energy fighting, which means using the Yak's good energy retention to zoom at an opponent, shoot at them, and then climb up and turn back to your opponent and give chase. They Yak at mid to low altitude is best suited to turn-fighting against all nations except for the Japanese. If facing the Japanese, use the same energy fight tactics as stated above, as Japanese planes will be unable to give chase due to low energy retention of their lightweight aircraft. The Yak-9T comes equipped with flaps, it is critical you use them, as performance is greatly increased in a turn-fight with them extended. 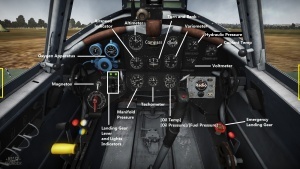 The Yak 9T and all Yak's suffer from constant engine overheat, properly watching this temperature is critical, because if let go too long, the engine will die and the Yak falls fast. Keep eyes on temp at all times. Best advice is to keep throttle at 90% or lower when not in combat. 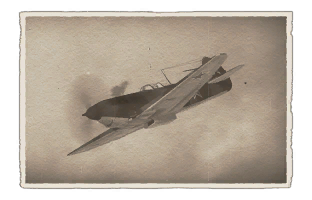 The Yak-9T is best suited to colder maps, if on a hot map, gain altitude and cruise at 85-90% throttle. Cannon can knock out medium tanks with several hits in the side or rear. 37 mm is fairly inaccurate even in short bursts. This page was last edited on 20 April 2019, at 16:43.